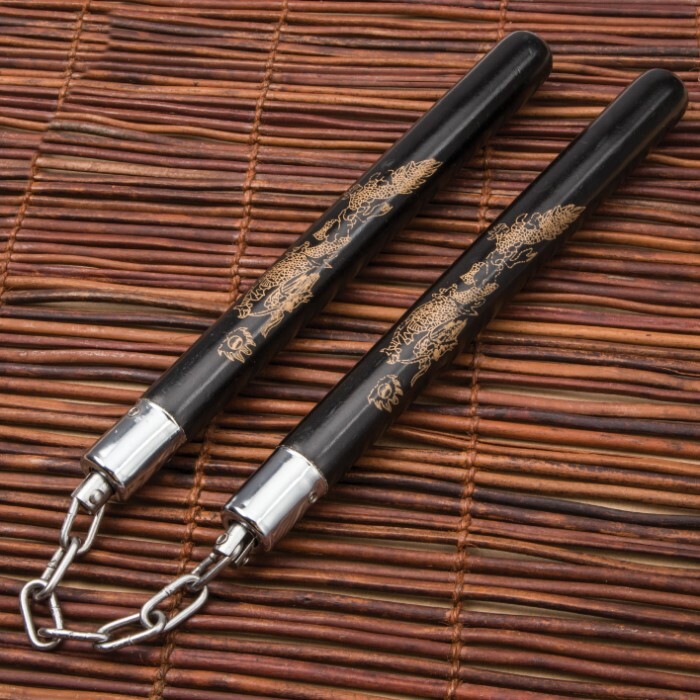 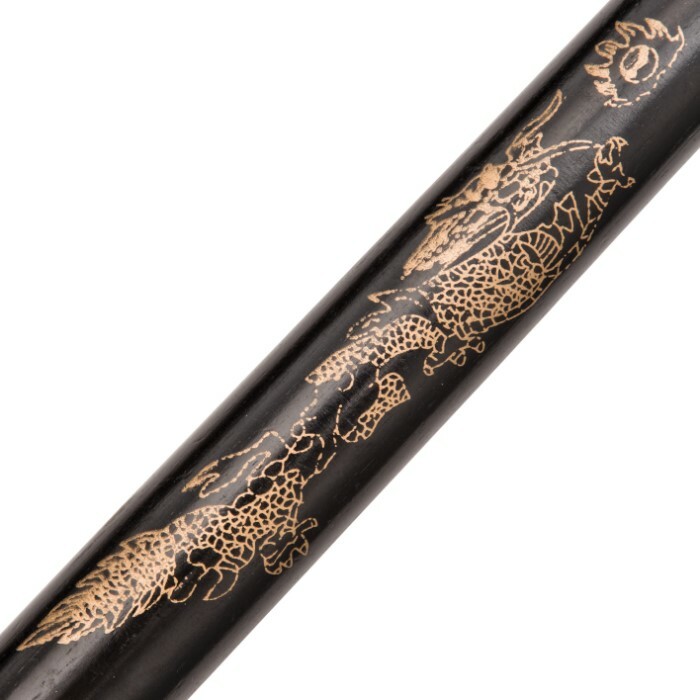 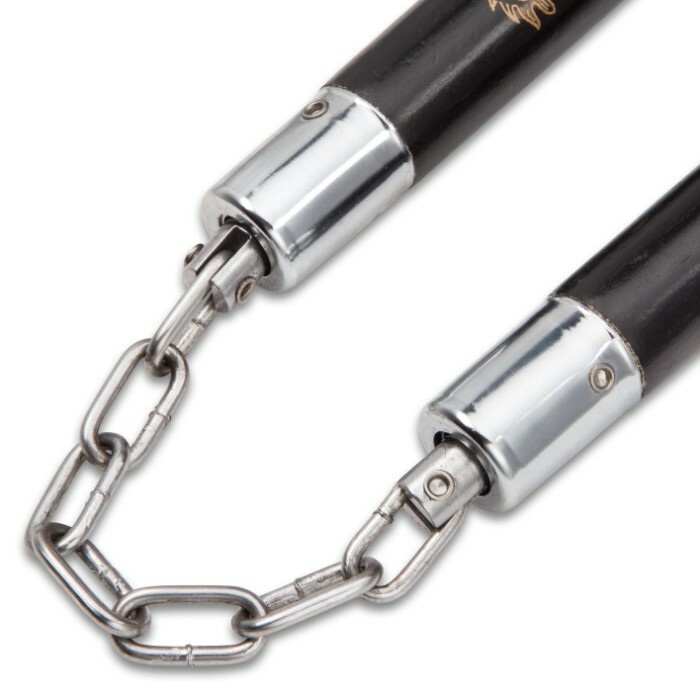 Our Black Wooden Golden Dragon Nunchaku are attractive and perfect for competition forms with their painted golden Japanese dragon design. 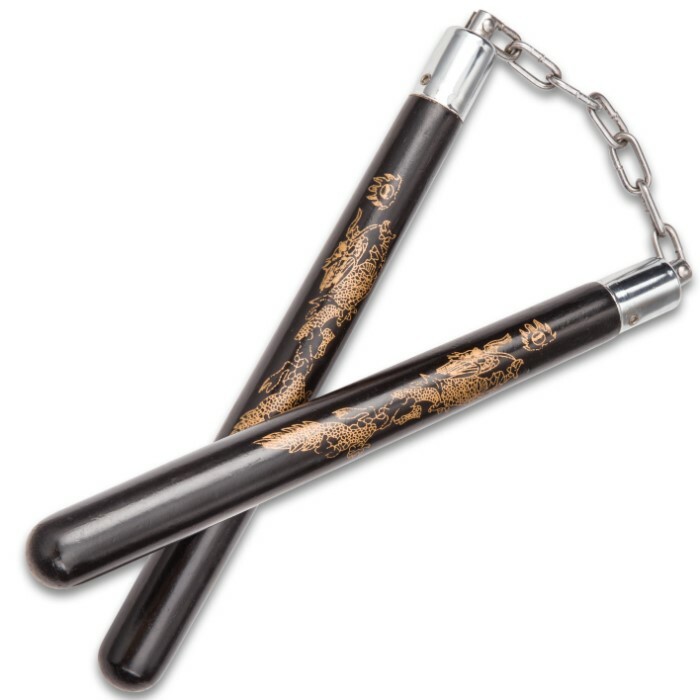 Made of a sturdy black round hardwood, these will last for years to come, even with abuse, so they are a perfect addition to your martial arts gear. 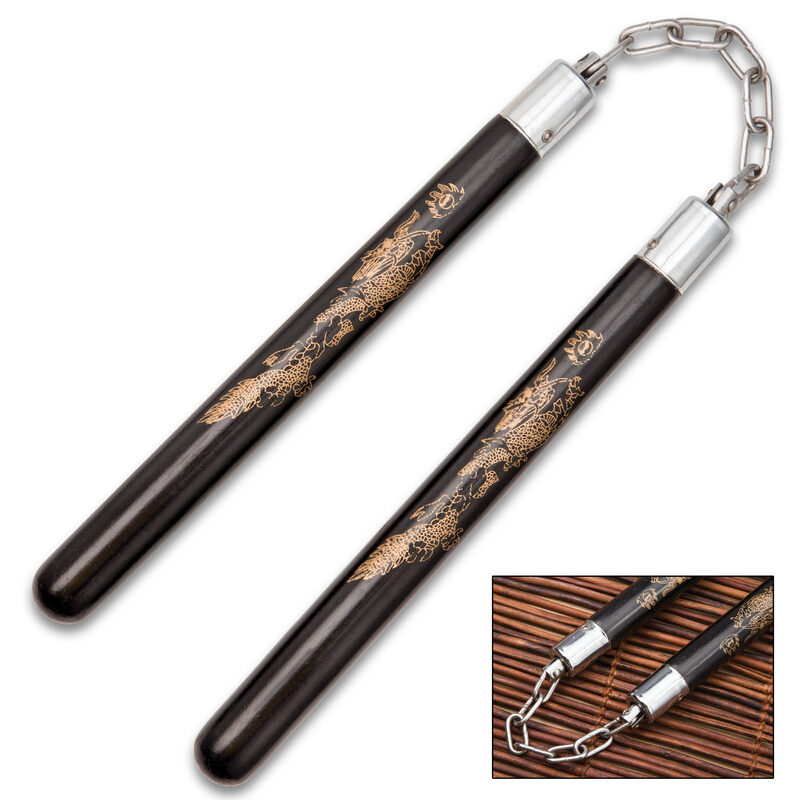 High-quality is a must-have when you’re looking for martial arts equipment, so look no further!